Premium employee time tracking app! 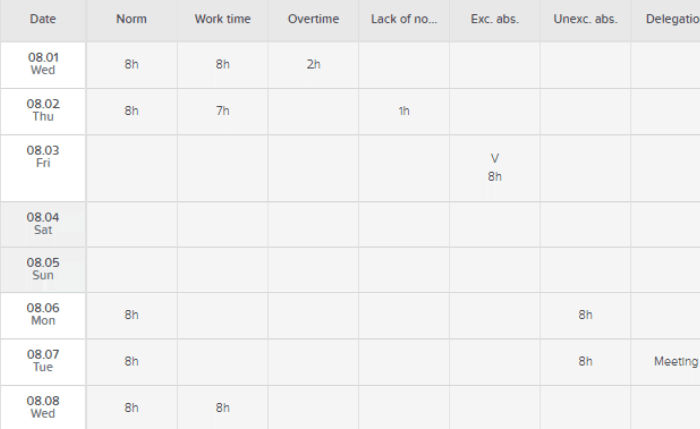 Get an online work time tracker that is easy to use and save 5+ hours each week on timesheets. Take your business to another level with our hassle-free tools! 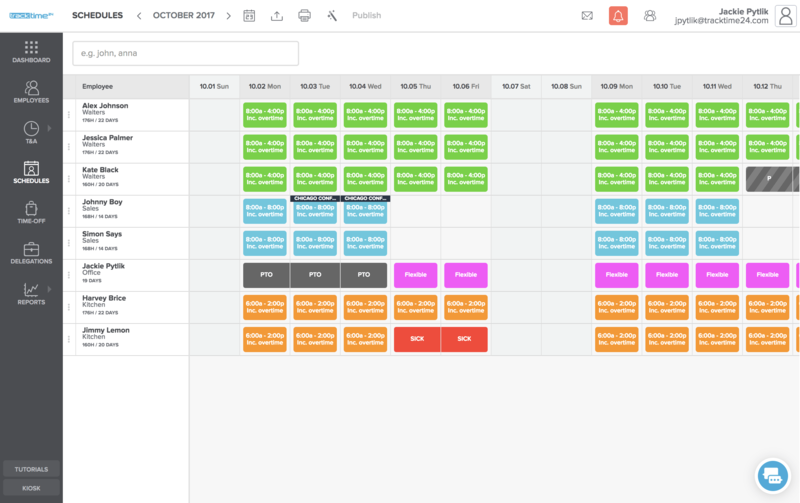 Track your employees work hours and overtime. Eliminate chronic staff lateness and unapproved absences. See the breakdown of work hours for every employee. Set rules and pinpoint when employees come in late or leave early. Automatic breakdown to overtime and work time. Set rules, limits and requirements for employees breaks. 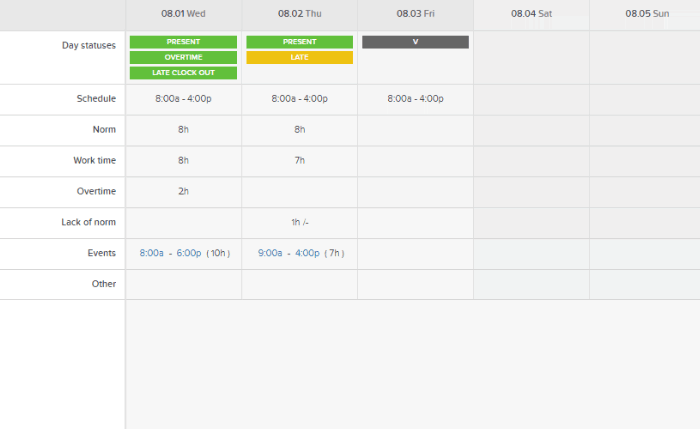 Automatically compile your staff time and attendance data. Means no expensive hardware needed, no additional costs! Perfect timesheets ready for payroll! Ditch spreadsheets, pen and paper for a web based, all-in-one solution and prepare your timesheets without a calculator and save hours every payroll period. Switch to a fully automated and compliant with the Labor Code online employee attendance tracker. It contains all the required information such as employee's personal data, dates and times of clock-ins and clock-outs. Stop wasting time collecting signatures! and get a detailed breakdown of an employee's work day in just one click. A clear summary of all work time related data from your business - all your staff's working hours, paid and unpaid breaks will be calculated automatically. No time-consuming filling tables in Excel! Detailed breakdown of time and attendance records for any employee day by day. Get an instantly ready timesheet for payroll! 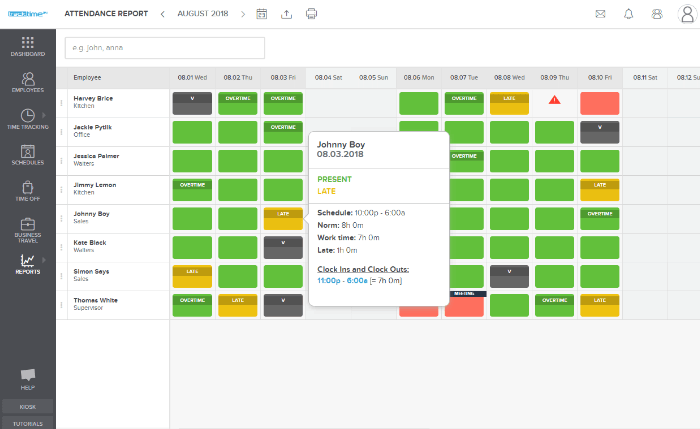 Automatically identify time and attendance errors and compare to the scheduled hours. Save hours every payroll period and focus on your business! export all data to most popular payroll apps thanks to dedicated integrations. Use it however you like it! All data is securely stored on our servers and can be accessed online at any time. Donwload and save as PDF, CSV or XLS files, which later can be imported to other software. All time reports have dedicated print-ready A4 templates. You can enable each integration with just one click and keep your HR data synchronized with TrackTime24. Try our seamless integrations with QuickBooks Online, Square and Xero. A list of our integrations is constantly being updated, we strive to perfectly fit an ecosystem of every company. Identify every error including missed break or clock out and easily correct it with auto-suggested solution. Get rid of those pesky uneven numbers! 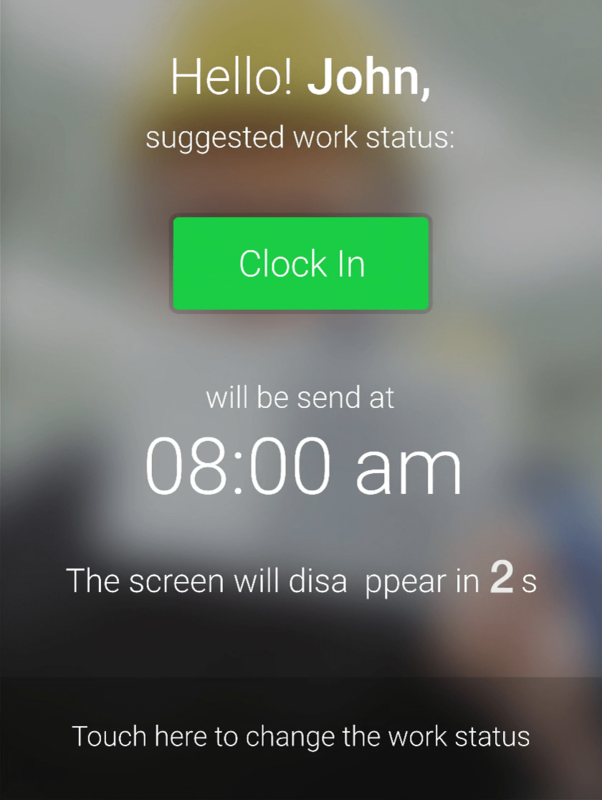 Our app allows time to be automatically rounded to the nearest increment when employees clock in or out. 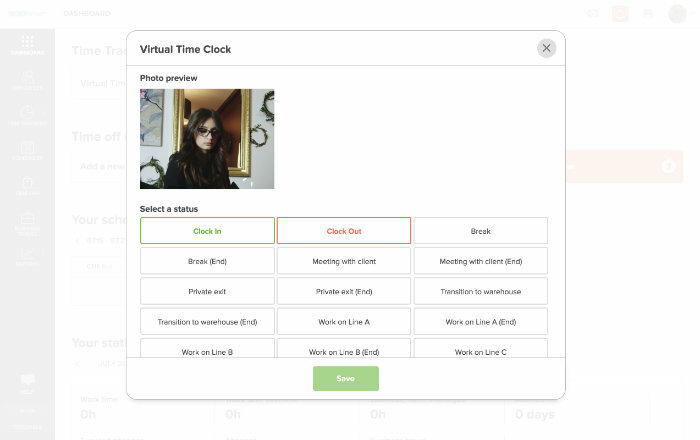 You can set our mobile Time Clock to automatically take a photo of employees whenever they clock in and out to keep everyone honest. Define and set rules for your own additional statuses eg. meeting with client, private exit, 'cigarette' break. Forget about paper lists, Excel files or expensive PIN, card, RFID or fingerprint Time Clocks. 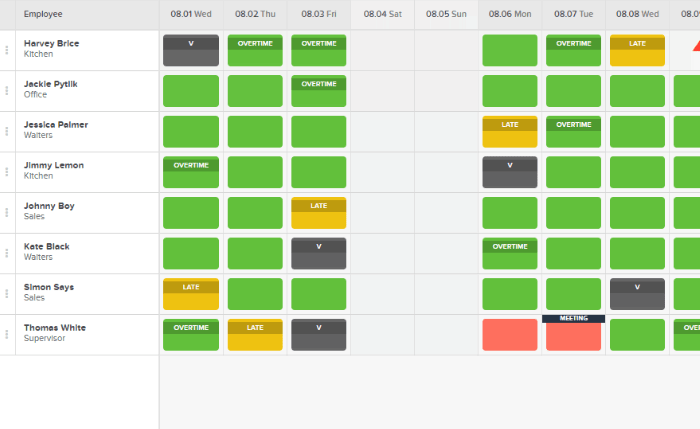 Use one (or few) of innovative ways to automatically track your staff's working hours. No expensive, bulky hardware or time-consuming configuration necessary! All you need to do is Sign Up and install (only if you want) one of our mobile apps. There is no need to invest in any infrastructure or to hire professionals to help with the setup. Turn any Smartphone or Tablet into a Mobile Work Time Clock! All you need to do is to install our free mobile app on any device running on Android or iOS! 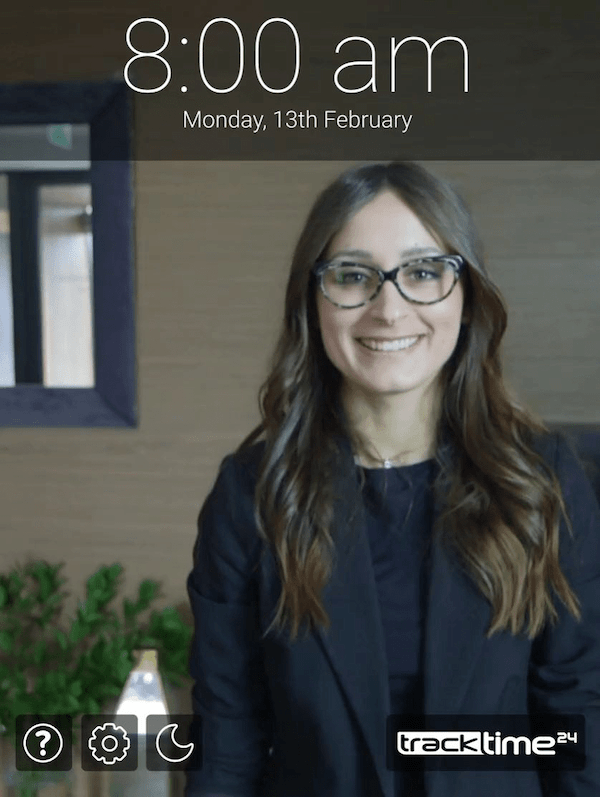 Empower your staff with Employee Self-Service (ESS)! Free mobile app designed to work perfectly on both Android and iOS phones. Clock in and out via any web browser on any device - Internet Explorer, Edge, Google Chrome, Opera or Mozilla Firefox. Cost-effective alternative to traditional punch time clocks. 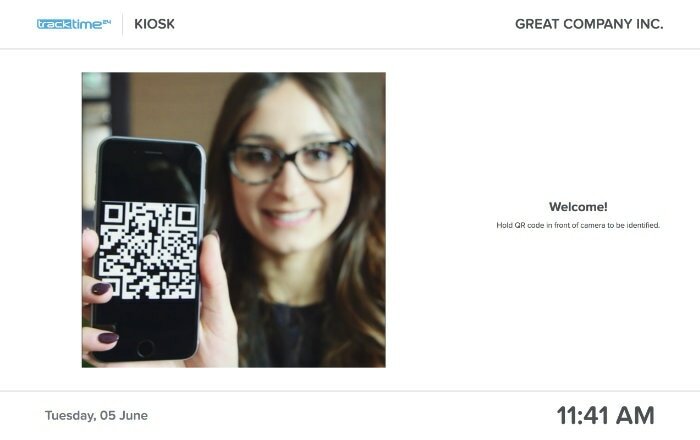 Authorized users can enter into KIOSK mode - computer will work similar to our mobile QR code scanning app. taking photo of employee and tracking geo-location. 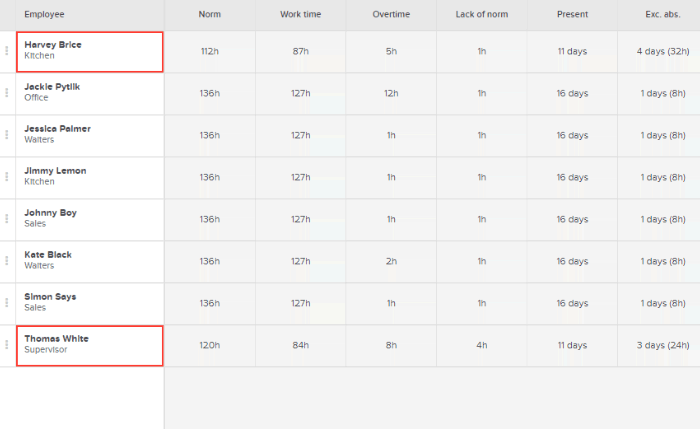 Combine Time Tracking & Work Schedules to keep track of overtime, late and early arrivals for work and comparison between scheduled work hours and actual.